Observation - Bird feather - UK and Ireland. 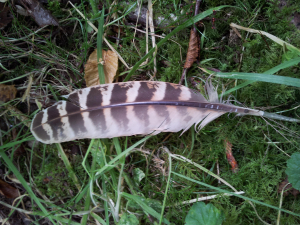 Description: I found this feather in woodland in August last summer and wondered if anyone might recognise which species it belongs to? I found this feather in woodland in August last summer and wondered if anyone might recognise which species it belongs to?